Find out why U-Wash Doggie® is Santa Clarita’s #1 Choice in Professional Pet Grooming AND Self Serve Dog Washing! We’ll pamper your pet like they’re family. 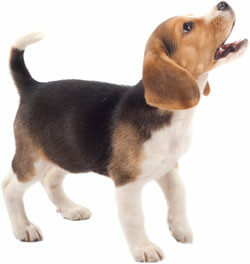 Visit us in Newhall or Saugus – call and make your pet’s appointment today! We Wash... U Wash... U Choose! Snuggle Up to a Clean Dog Tonight! 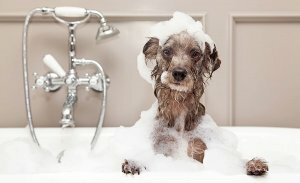 "Time for Your Doggie Bath"
When your pet’s fur is matted and mangy, it stresses them out and it stresses YOU out! 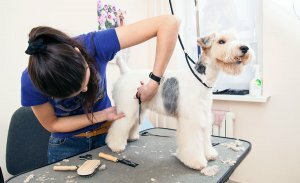 We have been in the pet grooming business for over 27 years so we offer a variety of pet wash treatments — from everyday maintenace to pets who have encountered skunks and other mishaps. Bring your pet to us today — you’ll both love the experience, we guarantee it! "7 Easy Steps to a Happy Dog"
Newhall U-Wash Doggie SCV - Show your Pets the Love They Deserve! For over 27 years, U-Wash Doggie® is Santa Clarita's Choice for Professional pet grooming and self-service dog wash. All breeds welcome! © 2002-18 U-Wash Doggie® • All rights reserved.